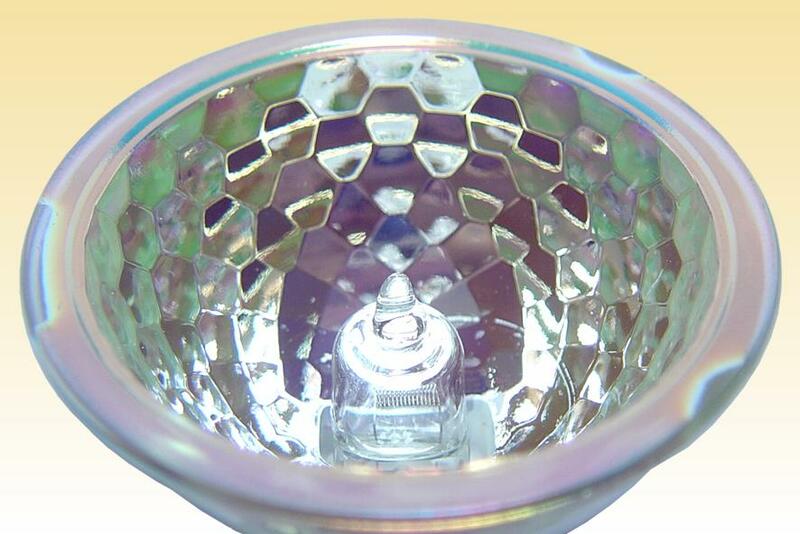 During the early 1980s, a number of European lighting designers began experimenting with low voltage MR16 dichroic projection lamps for accent lighting of retail interiors. 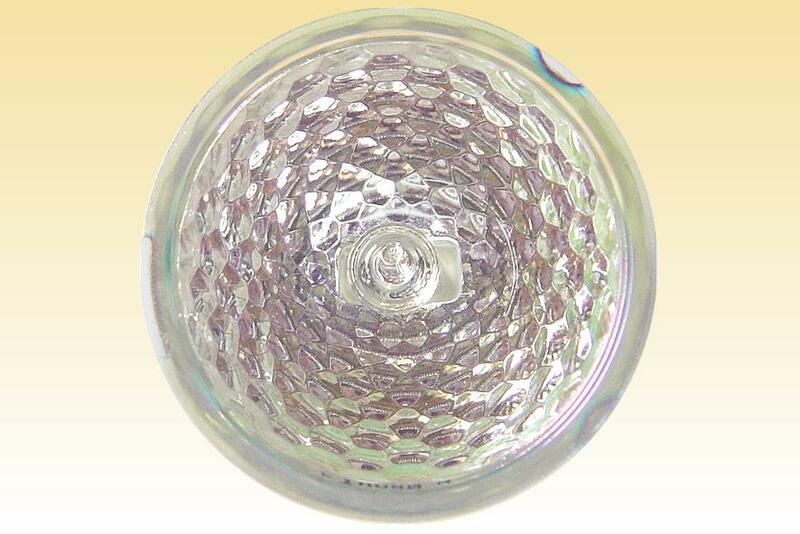 Previously the incandescent sealed beam PAR and blown reflector R lamps had dominated this market, but the new low voltage lamps introduced a powerful arsenal of features. Perhaps the most noteworthy are their compact dimensions, whiter light, a cool beam thanks to the dicroic coating, an attractive sparkling effect from the multifacetted mirror. As if this wasn't enough, their high efficacy also permits the same lighting effect to be achieved from a single 50W low voltage lamp as from a 100W PAR38 reflector. 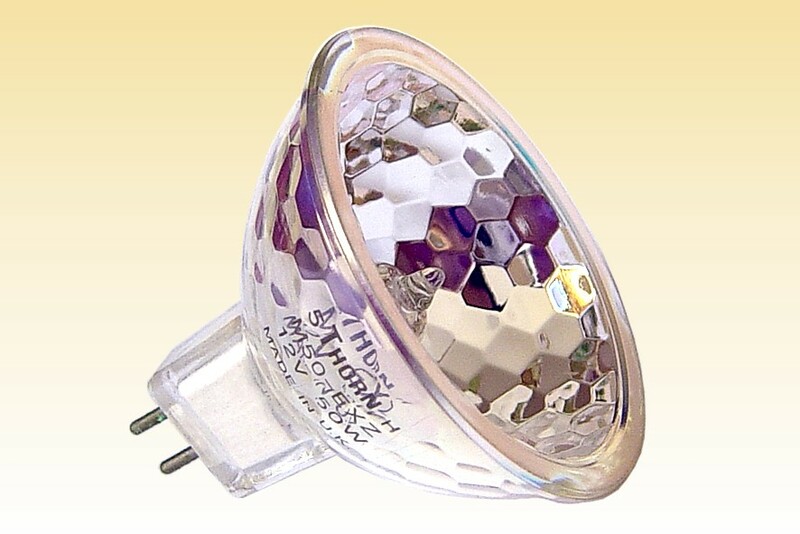 The early experimentation was done purely with Class A1 lamps as used in slide projectors, however these are high output types having a short lifetime. 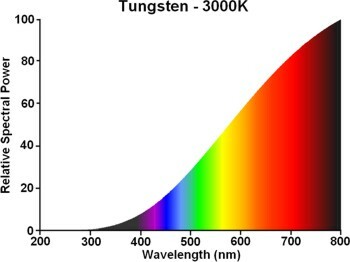 To allow expansion into general lighting a much longer lifetime was called for. Working with the London lighting designers, Thorn Lighting was one of the first to offer such a product in 1982. 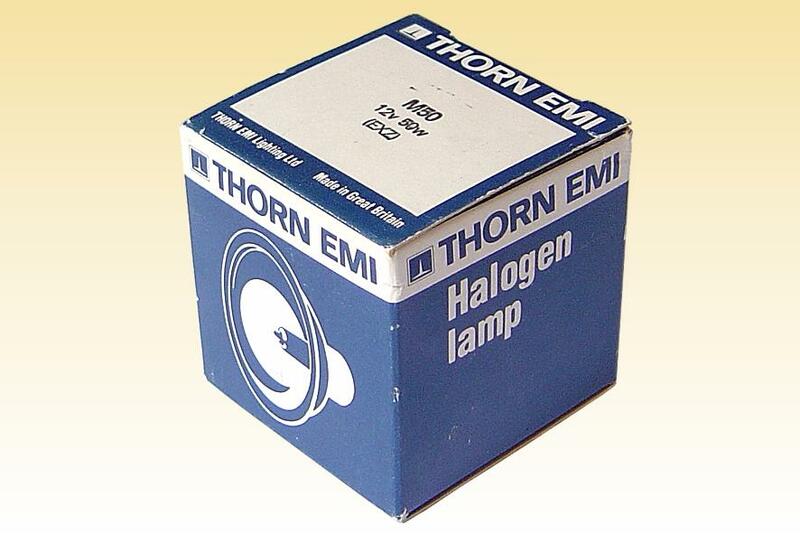 The first lamp in Thorn's 'Lightstream' family was a 12V 50W medium beam source, the type M50 EXZ featured here. The range was later extended to include ratings of 20W, 35W and 75W, and the choice of beam angles broadened from 7° to 60°. However the M50 remains by far the most popular. 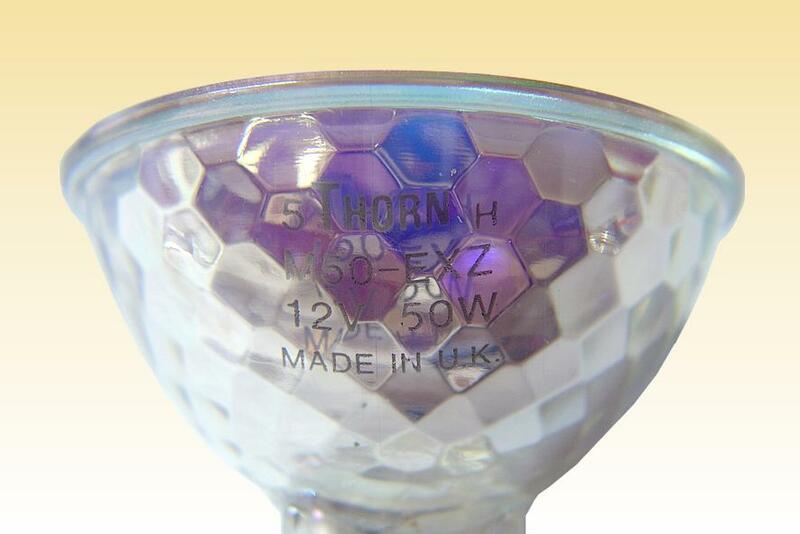 The beam uniformity of Thorn lamps is superior to many competitive versions thanks to the unique Honeycomb reflector facetting - a major step forward over previous designs which used Emett Wiley's original rectangular facets. However a drawback of the Thorn lamp for many years was its transverse filament coil, whose optical efficacy is inferior to axial filaments - especially for the narrower beam angles. Overall Length: 44.45 mm 1 3/4"